When I lived in Toronto I lived in a Victorian semi-detached house in an eclectic 'hood near the university called the Annex. Think 10' ceilings and huge windows and red brick. Lots of character. Now I live in a tiny 1930's era cottage - much, much smaller. Especially the living room. The challenge was twofold (actually threefold - that's where I need your help!). First, being a small space, I needed to get rid of some of our existing furniture and order a new couch more in proportion to the space. And second, I needed to update the look to be a little less cute and little more "us". 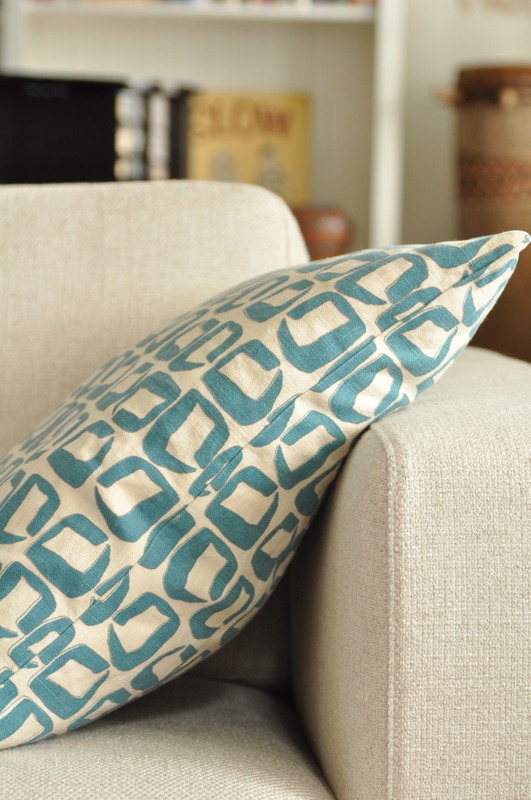 Having a small home, we use every square inch so it also needed to be comfortable. 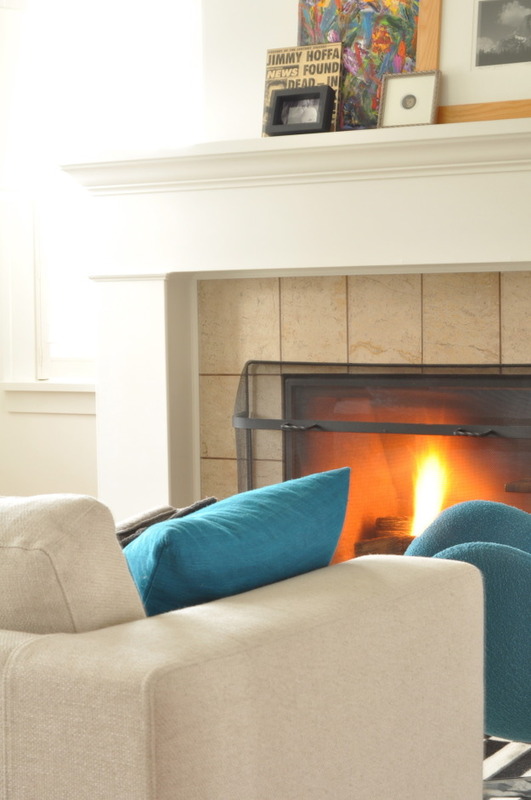 Many a rainy day and night have been spent reading in front of the fire. It's still a work in process - aren't we always fiddling with our spaces? Here's the before photo from the realtor website. The walls in the living room/dining room area were painted a warm yellow - cottagey but not the mood that I wanted to set. The couch is from Inform Interiors - it's a Neo by Benson. I wanted a low back because of the layout of the living room - not only is it a small space, you enter it immediately from the outside in the centre of the room. The couch is also in the middle of the living room to allow for traffic flow to and from the front door. Having a higher backed one would have chopped up the space quite a bit. 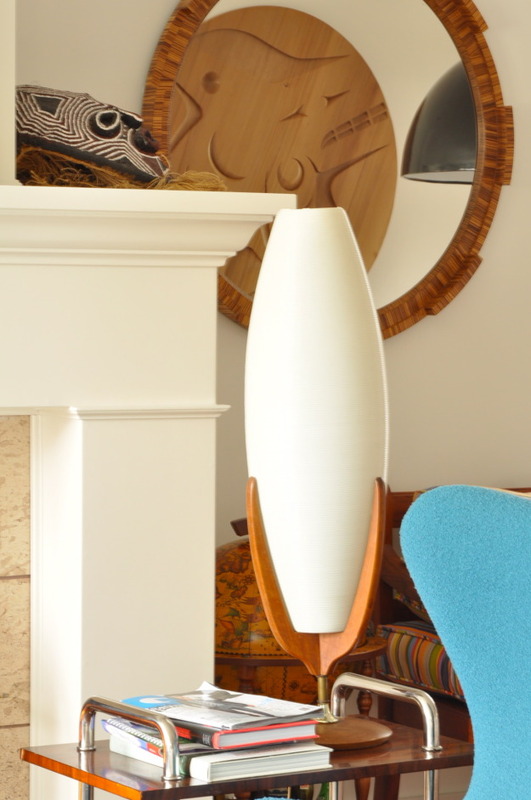 The table lamp is from Morba in Toronto - they have so many vintage items! And the striped carpet is from IKEA - in my old place it was in the dining room. The egg chair is a knock off but I had it recovered in Knoll fabric at The Big Stuff. 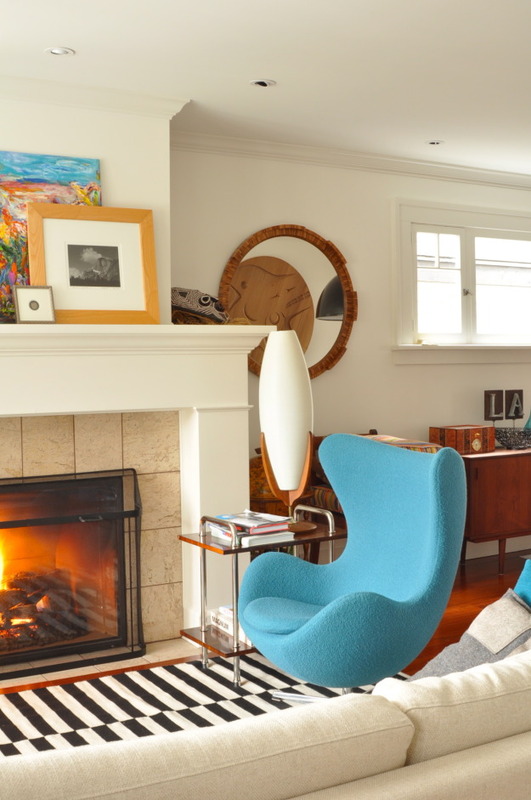 Don't skimp on recovering an egg chair or a Barcelona chair - you need to find someone experienced - they each have their own tricks and challenges. Reflected in the round mirror is a 4' diameter carved cedar disk of a whale. A tip of the hat to the west coast. More on that when I get to the dining room in another future post. Still fiddling with the vignette on the mantel. I have some photographic art that is being framed and I think it will end up here when it arrives. I don't like the tile surround at.all. The same tile is on the gas fireplace in the basement (more on that too in a future post!). I'd like to replace it but you know how it is - "earrings on a monkey" - is it worth doing? I'd love some tile that would be more funky and edgy. The two grey chairs are from Style Garage. They were originally at our old cottage. So I mentioned that I need your help. I do. I need input on a coffee table. Which one should I get? I have narrowed it down to a few. Thinking round, thinking not a lot of wood. 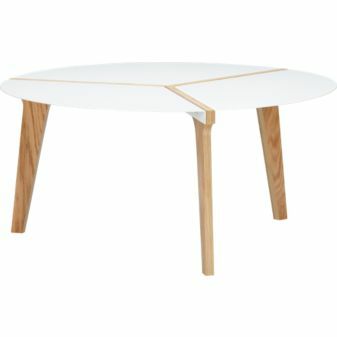 Reprouve coffee table from CB2. 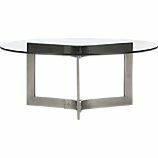 P7 coffee table from CB2. Rivet coffee table from Crate and Barrel. Let me know what you think. Or do you have other suggestions?